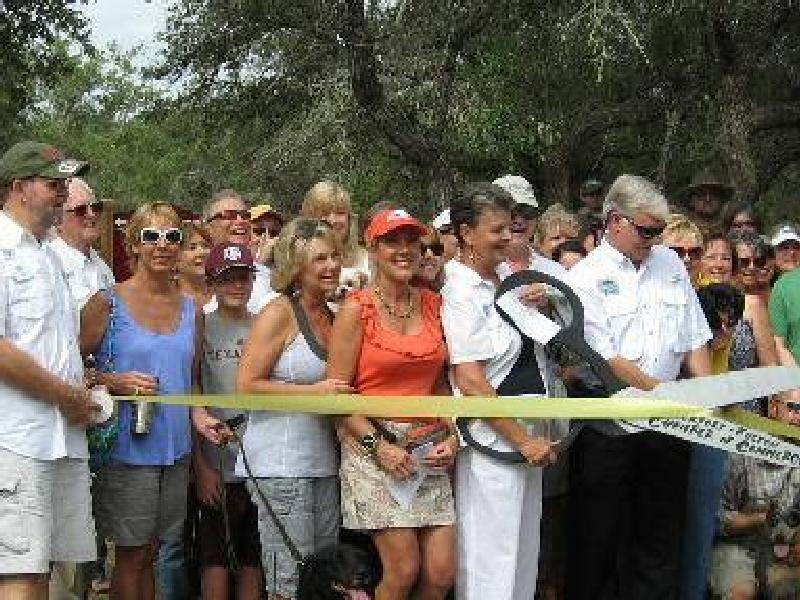 The Rockport-Fulton Chamber of Commerce Leadership Class XVI conducted a Ribbon Cutting/Grand Opening of the new off-leash Dog Park on Saturday, June 23, 2012 at 10:00 AM at the site located in Memorial Park, Rockport. Almost two acres of unimproved land within Memorial Park was generously donated by the City of Rockport. This has been the largest project of any Leadership Class to date. With the help and support of our community, approximately $50,000 was raised to complete this project. 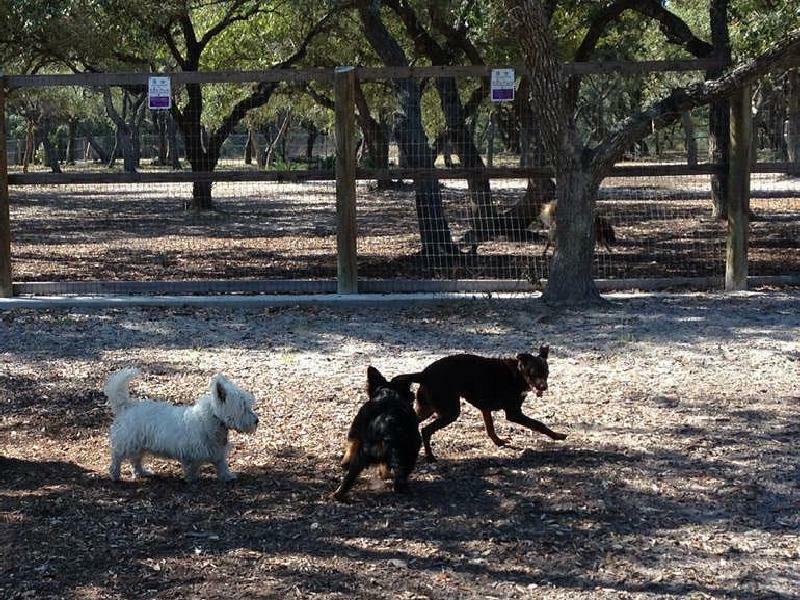 Various fundraising events were conducted, including naming rights for the large dog park, drawings, and selling personalized signs places on 8 foot sections of the fence. 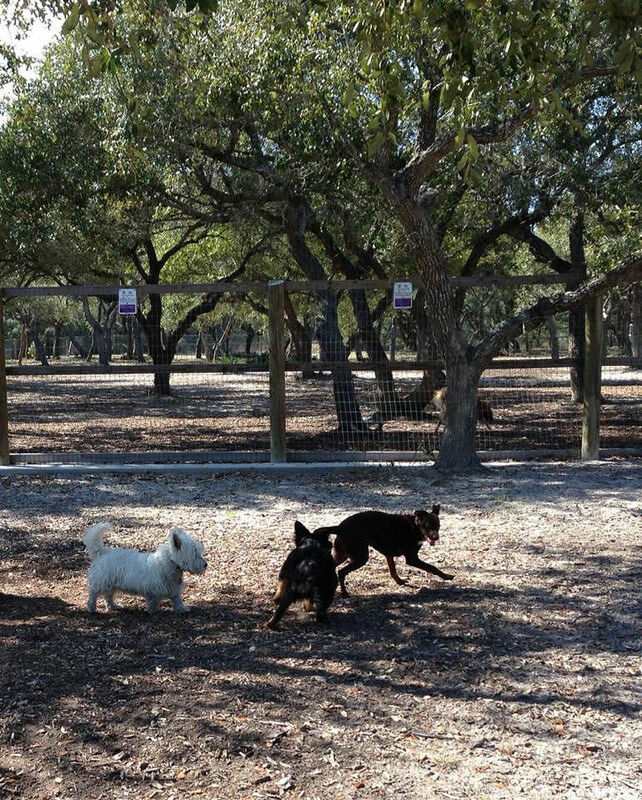 The park features separate parks for big and small dogs to run off-leash, and will also have water and waste disposal stations. As additional funds are raised, new amenities will be added. The park will be self-policed, and after opening, will be maintained by the city.